Chandanshive, V. V., Kadam, S. K., Khandare, R. V., Kurade, M. B., Jeon, B., Jadhav, J. P., and Govindwar, S. P. (2018). In situ phytoremediation of dyes from textile wastewater using garden ornamental plants, effect on soil quality and plant growth. Chemosphere: 968-976. The textile industry relies heavily on the production of synthetic dyes, which are used for many different purposes worldwide. Dye production processes produce wastewater containing residual colors from the dyes themselves, as well as other chemicals, salts, and metals. Many of these materials are harmful to the environment as well as human health. 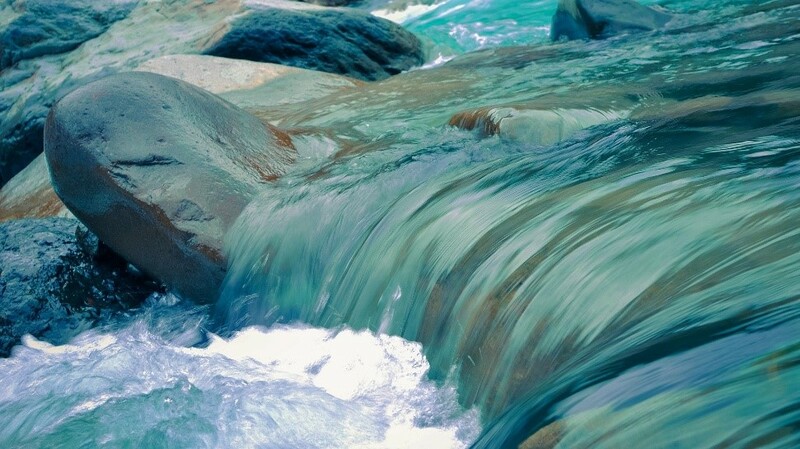 When textile wastewater accumulates in surface waters, the colorization from the dyes inhibits sunlight from penetrating the water, prohibiting aquatic plants from photosynthesizing. Inhibition of photosynthetic activity can ultimately lead to plant deaths and habitat degradation. Various wastewater treatment strategies have been implemented to treat wastewater effluent produced by the textile industry and stop the transfer of harmful materials to the environment. Phytoremediation has been recognized as an efficient and eco-friendly treatment option for treating textile effluent. Phytoremediation refers to the use of living plants to degrade or remove harmful substances from a medium (such as soils, lakes, or in this case, wastewater effluent). In addition to the living plants themselves, soil bacteria also play a role. They live on plant roots, and once there, they can not only stabilize, break down, and contain harmful pollutants, but they also have the potential to enhance plant growth. Research efforts have investigated the capacity for many different plants to degrade dye substances and decolorize textile wastewater effluent; however, flowering and ornamental plants have not been thoroughly investigated as phytoremediation options. In this study, Vishal and colleagues investigated the use of several ornamental plants for treating textile wastewater in Kagal, India: T. patula (Mexican marigold), A. amellus (European Michaelmas-daisy), P. grandiflora (Mexican rose), and G. grandiflora (blanket flower). Researchers constructed a wetland and planted 2000 of each ornamental plant to determine whether they would increase decolorization and remediation of textile effluent. The study’s control group consisted of raised garden beds (“ridge beds”) with no plants. While many studies investigating phytoremediation’s capacity for treating wastewater effluent focus solely on how the effluent is changed, researchers in this study also studied changes in the soil and plants involved in the phytoremediation process themselves. After 30 days of being watered with normal water (in order to facilitate healthy initial growth of the plants), researchers continued to nourish half of the plants of each species with normal water, while they nourished the remaining half with textile effluent for 30 more days. They applied the same watering schedule to their control group. During the 30-day experimental period, soil samples were collected every 5 days. Researchers filtered the soil samples in order to isolate the effluent and quantify changes in the decolorization over time. Soil was also analyzed for bacterial counts and elemental/heavy metal content. Researchers also investigated physical, chemical, and biological changes that took place in the plants. Analysis of percent decolorization of textile effluent revealed that ridge beds cultivated with ornamental plants removed significantly more textile dye than the unplanted ridge beds. Specifically, plants reduced the effluent color by 73% compared to the control group (with no plants). In particular, G. grandiflora was the most effective at decolorizing the effluent. Soil involved in the phytoremediation process also experienced boosts in microbial communities and reductions in contents of heavy metals. Phytoremediation also resulted in an increase of root enzyme activity, which facilitated dye degradation. Although researchers observed that textile dyes accumulated and began to degrade plant tissue, only a minor decrease in plant growth was observed. Successful wastewater treatment results, along with minimal deterioration of the soil and plants involved, suggest that ornamental plants can serve as both an effective and aesthetically pleasing method for treating wastewater effluent from textile factories. ← How do volcanoes affect ozone?